THIS IS THE UNABRIDGED REPORT OF THE DAYS FOR GIRLS PERTH & NEWCASTLE WHO SUPPLIED THE KITS .English instructions had to be translated as it is not the first language in Indonesia. West Timor, Indonesia- November 2017. 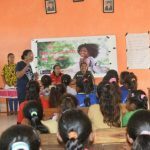 Foundation for Mother and Child Health Indonesia (FMCH) or Yayasan Balita Sehat Indonesia in partnership with Priscilla Hall Memorial Foundation (PHMF) has sucessfully conducted Days For Girls Project in West Timor, Indonesia on November 12, 2017. Days for girls is made up of a network of dedicated and passionate individuals working to ensure women and girls have the solutions they need and also committed to supporting a girl throughout her entire lifecycle, from providing her with a DfG Kit, to teaching her health education, to offering training for her when she grows older, so that she can produce DfG Kits and support hygiene needs in her community. 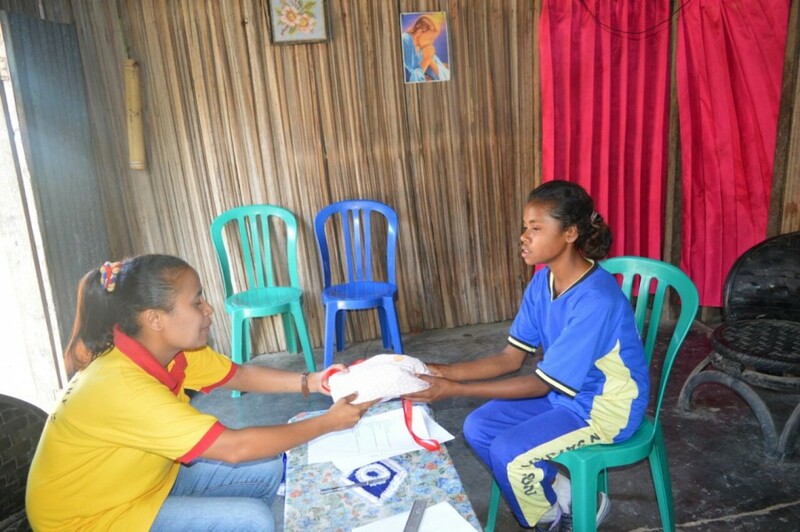 In 2016, FMCH Indonesia and PHMF have same interest with this project to be implemented in Indonesia, specially for girls and women in West Timor. Almost of them over there still used secondhand cloth that is not hygienic to covered their menstruation. 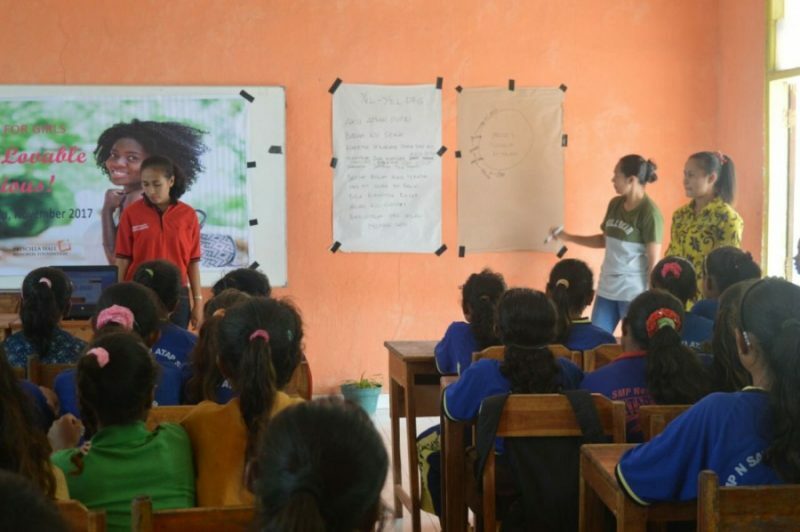 So, it was important to raised their knowledge regarding Feminine Hygiene and Reproductive Health. 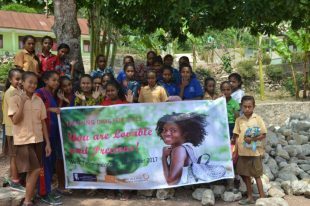 PHMF’s role was bought the DfG kits and distribution from DfG Australia PERTH & NEWCASTLE Chapters to Indonesia then FMCH Indonesia who will be held the training for Health Edcuation and deliver the DfG Kits to the girls and women in West Timor. DFG has rule of conduct to run this project. First step, we should be register to get DfG Kits and the training. 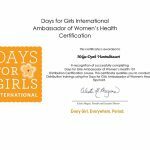 Then, joint to be Health Ambassador of Days For Girl through some online tasks, after finished, we got a scored and certificate of Ambassador Days for Girls. It meant we officially could be a trainer. 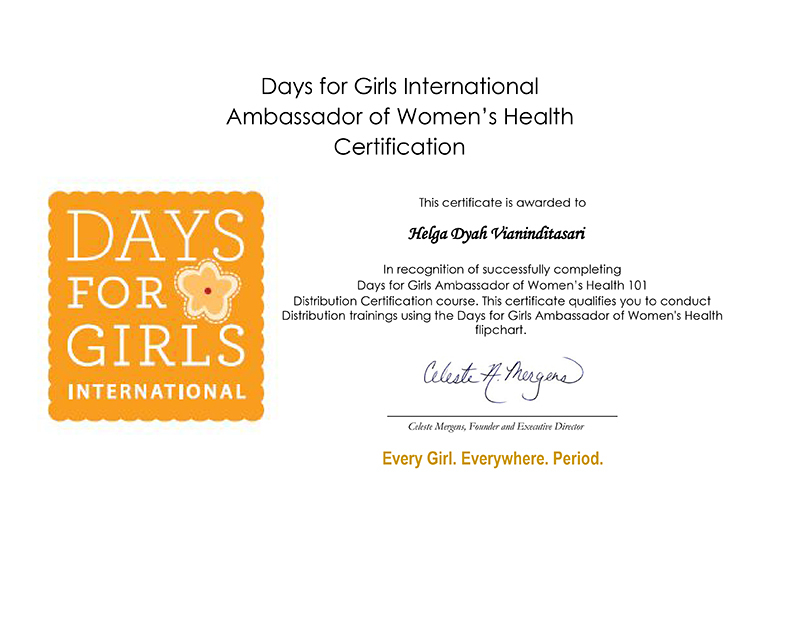 “ I became aware of what materials were to be taught, but also understood why the program was good for women and how this program should be done,” said Helga Dyah, Manager of FMCH and an Ambassador of Days For Girl. After that, Helga has trained her 4 of West Timor Staf (They are nutritionist, Nurse, and Midwive) who will hold training to the girls. 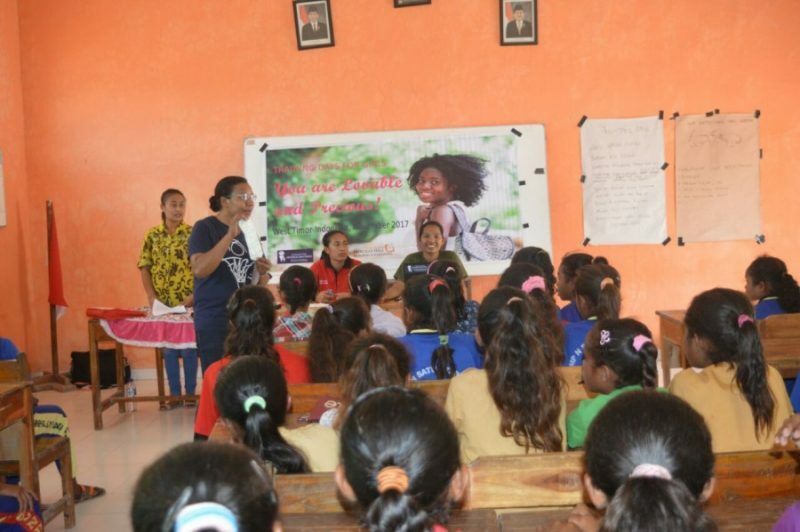 FMCH Indonesia got almost 300 of DfG Kits from PHMF then we distribute for first batch are 159 kits to girls students at Junior High School in Sunu Village, Amanatun Selatan Sub-District, West Timor. Before started the training, our trainers have been done DfG Group Survey for pre –distribution to 126 girl students. It was important thing to do because from it , we knew how far effectivness this project run for helping women. We have been collected the data for analyze. Then, Ibu Marsa as Master trainer has present about DfG Material on Flipchart. The materials are about Puberty, Female/Male Reproductive System, Menstruation, Self Defense, Women Trafficking and how to use the DfG Kits. After training done, the trainers gave DfG kits to each of the girls. We took a theme “Hi Girls, you are lovable and Precious”, our aimed was encourage them to grow up aware that every girls or woman are beautiful and strong as well as built their confidance with her beauty, brain and body. 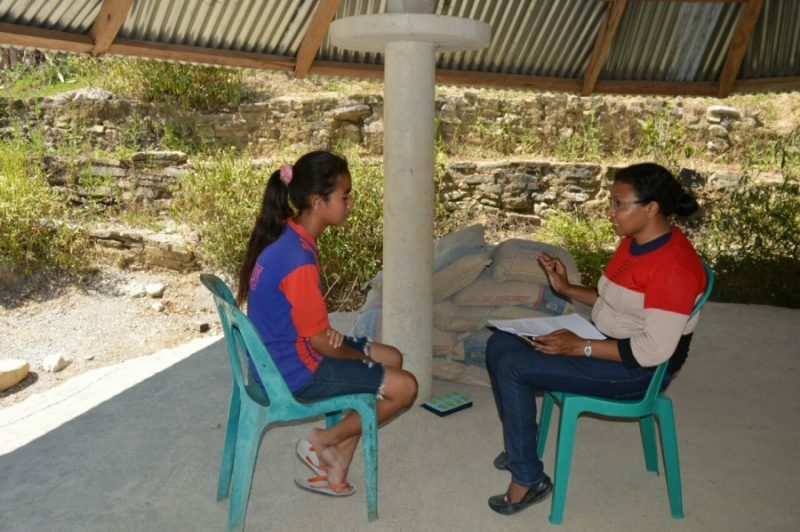 On 13 November 2017, the trainers have been held DfG Individual Survey for Pre Distribution to 33 girls and women in Sunu Village also interviewed Head of School, Mr. Ongki, in regards this project. “I thought this project is very helpful for the girls here in order to my students can got more to know about her body and her needs”. “I am very grateful to get this kits, because if I am in menstruation period always using used clothes or scarves used. But it does not absorb menstrual blood properly. I am often worried about going to school when I was menstruating for fear of leaking in the skirt and later being laughed by my friends” said Denada (14 y.o).